4h16 normal travelling time from Durban (410 km) via the N3. Tripadvisor lists some 26 restaurants, coffee shops and farms stalls within a 20 km radius of Clarens, as well as roughly 1000 beds in Clarens and 4000 in the immediate district. Single room R1773.00 B&B, Double room R2040 B&B. These rates include bed and breakfast, and do not include the 1% tourism levy. Rooms are subject to availability and are available at these rates only between 11-15 April 2019. Please ask for “MalutiD90 rate” when booking. Please email the hotel directly to book. Please note that all accommodation bookings must be made directly between participants and the establishments. The PPA is in no way responsible for any bookings made in this regard. https://www.sanparks.org/parks/golden_gate/all.php The Golden Gate park offers several accommodation options within 30 km from Clarens, including the Golden Gate Hotel and chalets; Glen Reenen Rest Camp; Highlands Mountain Retreat; Basutho Cultural Village; and Noordt Brabant Guest House. Founded in 1976, the PPA is a Public Benefit Organisation (PBO 18/11/13/2410) and has for the past 40 years been committed to promoting cycling and the interests of cyclists. Recreational cycling (on- and off-road), development through cycling, safe cycling, and advocacy are among the PPA’s priorities. The Association came into being as a result of the running of the first Cycle Tour that was to develop into the now-world famous annual Cape Town Cycle Tour (previously called the Cape Argus Pick n Pay Cycle Tour). The main purpose and object of the Association is to promote cycling and the interests of cyclists, with the following ancillary objectives: (a copy of the full Constitution is available on request or from our website). 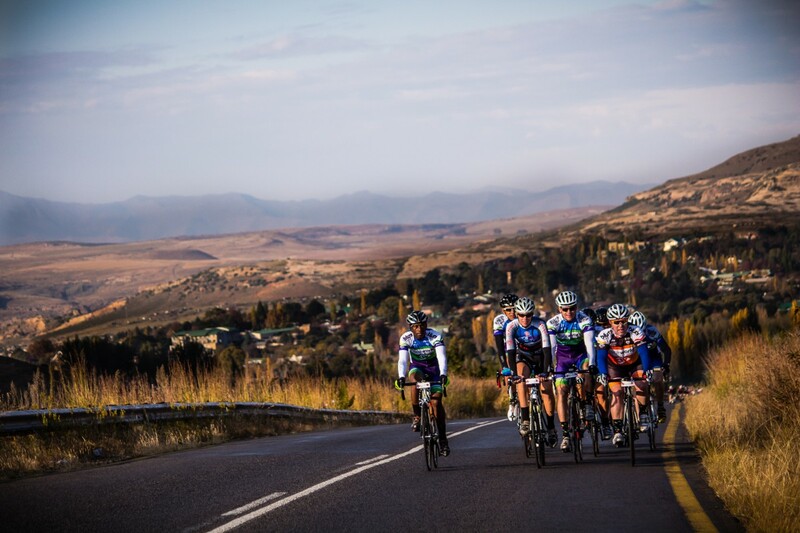 The Pedal Power Association is the largest recreational cycling organisation in South Africa. It has some 16 000 paid-up members; the largest component being in the Western Cape where the Association has its headquarters. Of these members, some 300 reside in the Free State and some 2000 in Gauteng. An elected committee of 12 volunteers, who generally meet once per month, provides strategic direction to the Association. The PPA Office is staffed by fourteen employees who administer the day-to-day running of the Association and its members and provide guidance to event organisers on the extensive PPA funride calendar. These events are split roughly half-half between mass participation road and Mountain Bike funrides, with a few recreational tours, social rides, safe cycling activation rides and some races for the more competitive cyclist. To promote safety at the funrides, the Association not only provides a qualified Safety Officer to attend each event, but also seeds its members based on their riding ability (using previous event results) and strictly governs the manner in which the events are run in order to ensure the safety of the competitors. The PPA expends considerable effort in the field of development of the sport in the poorer, previously disadvantaged areas and supports several clubs and cycling projects in this regard. The Association’s income stems from membership fees and from a share in the profit of the Cape Town Cycle Tour. While income from membership fees is used to run the Association, the income received from the Cycle Tour is used to fund the various projects and cycling initiatives. The Association’s headquarters are found in property in Kenilworth owned by the Association in Cape Town. Additionally, a satellite service is provided at each of the weekend events where staff is on hand to deal with membership and related queries. In 2015, the Association also opened a satellite office in Bloemfontein. For more information, kindly see our website. The Association has been organising and overseeing cycle events since 1976. The Association assists service organisations, clubs and schools to put on some 50 events per year, ensuring that the events conform to – and often exceed – national safety and local municipal requirements.